Previously Kanker was a part of old Bastar district. But in 1998 Kanker got it's identity as an independent district. Kanker is situated within the longitudes of 20 degree 6 minutes to 20 degree 24 minutes and latitudes of 80 degree 48 minutes to 81 degree 48 minutes. The total area of the district is 5285.01 sq.km. 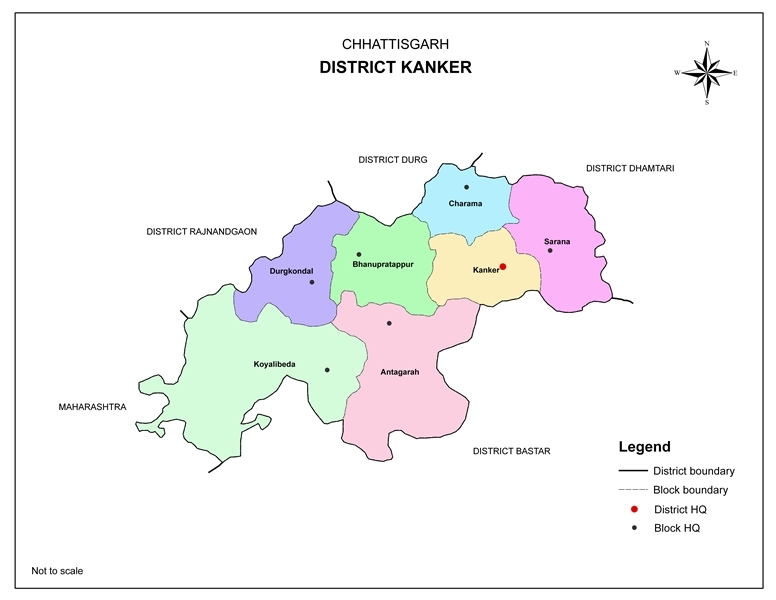 At present the Kanker district has 7 tehsils and 7 blocks. Mainly five rivers flow through the district namely Doodh, Mahanadi, Hatkul, Sindur & Turu.